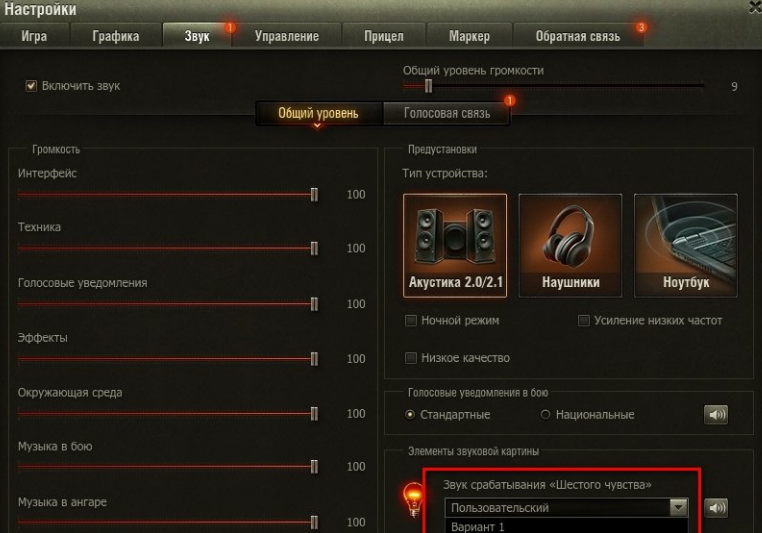 Often, gamers World of Tanks 0.9.17.0.1 get extra damage due to the fact that time do not notice the picture 6th senses. To correct this misunderstanding, we recommend to install a mod to the sound of tank detection. This module with the help loud long beep will duplicate you standard image 6th senses. Now you will not miss a moment of “exposure” your vehicle and will be able to adequately respond to the evolving situation. There are four kinds of voice in the archive. Each option has its own peculiarity. Worth to experience all kinds of sound mod and to set the most suitable for you. Installation method of mod also available in the archive file.